Q: Where can I find answers to my GAUSS questions? 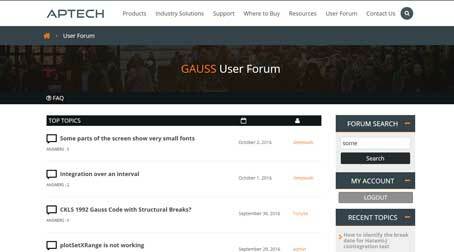 A: The GAUSS User Forum is a growing and easily searchable repository of common and uncommon GAUSS questions. Go there now.